The Dutch government has appealed against the decision of The Hague District Court on the climate case that took place in 2015. In the case, the Urgenda Foundation, a national organization for sustainability, won a lawsuit against the State. The decision of the judge required the Dutch government to cut its greenhouse gas emissions by at least 25 percent by the end of 2020, compared to 1990 levels. The court found that the State was not fulfilling its duty of care if emissions were not cut by 25 percent, based on the interpretation of scientific data. 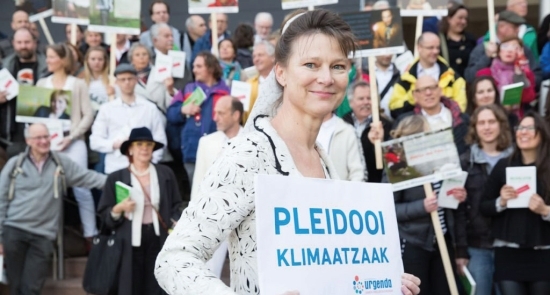 Koos van den Berg, the lawyer of the Urgenda Foundation, said that the dangers of climate change, such as melting ice caps, rising sea levels and species loss are enormous, and that the Foundation wanted to enforce climate action to prevent catastrophic environmental crises. According to the judge, the cost of reducing emissions was not high enough to force companies to leave the Netherlands. He was also of the opinion that he was not entering political grounds and that he was fair by applying the limit of 25 percent in the 25-45 percent standard. Political party VVD disagreed with the ruling, while GroenLinks was happy with it. The verdict was lauded as a victory by Marjan Minnesma, the founder and director of the Urgenda Foundation, who said “this is what you always hope for, but everyone said this is never going to happen.” The verdict, which set legal precedent, inspired similar actions by environmental groups against governments and companies around the world, e.g. in Belgium, Ireland, the UK, Switzerland and the US. For example, in March this year, Our Children’s Trust in the US started a climate case against President Donald Trump. Climate law professor Jonathan Verschuuren from Tilburg University said: “In the US, for example, you now see many cases that have been filed by children, because they will suffer the consequences in the future. In turn, governments of cities like Seattle and San Francisco and local counties are trying to recover the cost of coastal protection from oil companies such as Shell and ExxonMobil.’’ The professor added that this case was also about whether governments xc can be made responsible for future catastrophic effects of climate change, like flooding. Although the Dutch judge passed his ruling fairly easily, legally it is extremely difficult. The Dutch government has appealed the judgment for a number of reasons. First, it believed that the decision was politically motivated and violated democracy, since judges might determine policies based on their own activism. The State also said that it could not be legally obliged by the District Court to lower emissions even further, because it already follows the European law, which obliges the State to cut emissions by 40 percent by 2030 and 80-95 percent by 2050. The State argued that the new reduction imposed by the court would increase costs, since expensive measures would have to be taken in the short-term. It maintained that the money spent to achieve these short-term results could not be used for the 2020-2050 timeline. Based on calculations, the extra reduction ordered by the court would contribute to 0.000045 °C less global warming, a figure which was insignificant in reversing the effects of climate change. The State insisted that it should follow the course taken by other countries in Europe and the world to achieve the agreed emissions. Furthermore, the verdict does not apply to the European framework of targets by ETS and non-ETS sectors that govern the European trade systems for carbon rights. The State believed that the judgment disturbed the balanced system of achieving joint and efficient greenhouse gas reduction in the EU, because lower ETS emissions in the Netherlands might mean more carbon emissions in other European countries. The State concluded that there was no legal obligation towards the Urgenda Foundation and there was no scientific reasoning for the imposed reduction. It desired to would be guided by the European laws in order to act decisively in the period 2020-2030 in order to limit the rise in temperature to less than 2° by 2050. Dutch emissions are not promising. They were reduced by only 13 per cent in 2017, with clear signs of stagnation in the past five years. Achieving 25 percent reduction by 2020 is also improbable, as one report shows that the Netherlands is currently headed towards 23 percent. Even if the government hits the 2020 target, the future is still dismal, as the National Energy Outlook predicts that the Netherlands will lag behind by achieving approximately 30 percent carbon reduction by 2035. This does not meet the European target of 40 percent by 2030. The energy report also showed that the target of 14 percent renewable energy by 2020 is unrealistic; at the moment only 12.7 percent is expected. However, the 16 percent target for 2023 is achievable due to the construction of large wind farms at sea, as well as the plan by Minister Henk Kamp of Economic Affairs and Climate Policy for a subsidy scheme for small-scale renewable energy sources such as solar boilers and biomass boilers. To further accelerate the energy transition, the government is planning to close two oldest coal-fired plants, the Hemweg power station of Nuon in Amsterdam and the Amer power station of Essent in Geertruidenberg. Although the original plan aimed for closing 2020, this has been postponed until 2025. There is also a plan for closing three other plants by 2030. Experts have explained the reason for the postponement to be the need to put in place new energy solutions.